MTN declined to comment. Nhleko wasn’t immediately available for comment. The departure of Nhleko would be the end of an era for MTN, which was founded in 1994. The 56-year-old has been chairman or chief executive officer for 17 years, and held both roles during the negotiation of a $1bn fine in Nigeria two years ago. He’s yet to publicly intervene in the latest battle in MTN’s biggest market, having installed CEO Rob Shuter partly to end regulatory battles that have plagued the carrier throughout the continent. Jonas, 58, was removed as deputy finance minister by former President Jacob Zuma as part of a cabinet purge in March 2017, and now acts as an investment envoy for Cyril Ramaphosa, who succeeded Zuma in February. He was appointed an MTN non-executive director in June. The former minister is well known for reporting that a member of the Gupta family offered him R600m to take the top finance ministry post and threatened to kill him if he spoke of it. The Guptas are at the heart of an ongoing probe into the plundering of state funds by outside interests, and deny wrongdoing. 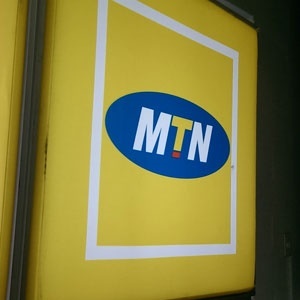 MTN reacted to the double claim from Nigeria authorities by taking both the central bank and attorney general to court, saying the allegations were unfounded, malicious and illegal. Shuter flew to the country to reassure employees of the company’s commitment to the market, where MTN has about 66 million customers. The wireless carrier had been seeking to sell shares in the Nigeria business on the Lagos stock exchange, but the plan has been complicated by the latest dispute.